Winter Offer (Expires 31st January 2019): Get 1.1ml of Revolax Lip Filler for just £120! Please see our Instagram or Facebook page for further details of all of our current special offers. 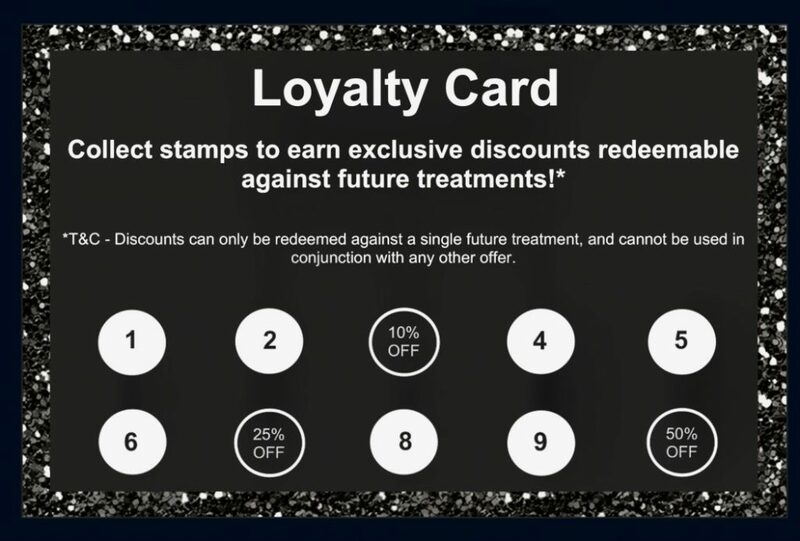 We also offer a loyalty card programme, in which you can collect stamps at each visit, to earn exclusive discounts redeemable against future treatments.